GL: I wanted to ask you about portals…how important are they on an individual basis for each person? Your planet will be experiencing a mass ascension.. This will be the first time a planet and her inhabitants will ascend together. All at once. Although this has been a gradual process up until this point but it is accelerating now the closer we get to the 12-12-12. Much is being done on our end, “behind the scenes” so to speak, to assist you with this. Our greatest wish is for all of you of the light to make this transition into harmonizing with the new frequencies. 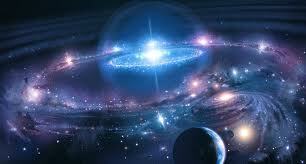 To that end, we are assisting in the opening of a large portal that all of you will be “flowing” through. As you have read a large portion of this ascension will be happening starting on 12-12-12 and through 12-21-12. This is what is called a “gateway” into these new frequencies, these new dimensions. We, of the Pleiadian and Angelic Councils of Light, are aware of those of you who wish to ascend. We refer to ourselves as One or “We” as we are of one “mind” and one spirit in this grand endeavor of assistance to you and your planet, the beautiful Gaia, at this time. Humanity is also shifting into the Oneness Consciousness. We await in the “wings” so to speak and stand by ready to assist in every way. We are doing many many things that are unfolding at a rapid pace on our end. Thank you Pleiadian and Angelic Councils of Light.